These days, climate change is a watchword for all our lives. We recycle, try to be very aware of the energy we use, and to keep our carbon footprints small. When it comes to a choice of energy provider, however, those considerations often go out of the window as we look for the cheapest prices. Given the way costs for both electricity and gas have spiralled, that’s understandable. But it’s perfectly possible to be an ethical consumer of energy, too. Utility companies have realised the need to become greener, and taken steps to either help generate electricity from green sources, like wind power, offering so-called green tariffs to help reduce carbon footprints, funding research into alternative energy sources, or using energy from different renewable sources. For consumers, there’s a commitment to using ethical energy, which really means green electricity – for obvious reasons, there’s really no such thing as green gas. It’s not cheaper, and can even be more expensive, but it shows you’re concerned about the environment and want to do all you can to make climate change a reality. It’s certainly a sign of the times that it’s not difficult to find ethical electricity providers these days, since every company is doing it, to a greater or lesser degree. But, as with all plans, finding the best one can be difficult, and they’re continually changing and evolving, so it’s important to remain aware of what’s happening and switch as your conscience, and wallet, dictates. The different electricity providers don’t all follow the same strategy, although most offer some kind of green tariff. Among the major companies, ideas can range from planting trees to offset the carbon footprints of customers who buy energy on a green tariff to investing in wind farms. Others look to hydro-electricity, or sourcing their power from renewable sources (one company even offsets gas usage with Climatecare). 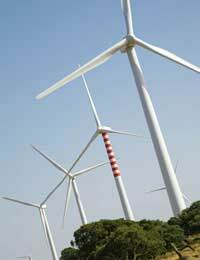 There are also other suppliers that are much more involved in ethical energy, and use purely renewable energy. In some cases, that renewable energy is purely from British sources, while others don’t have the kind of green plan offered by the bigger companies, but simply sell at the best possible price while running carbon offsetting schemes. It’s worth knowing that the government has imposed some limits on energy companies, meaning that they have to obtain more of their energy from renewable sources each year, so the greening effect is going to continue and grow larger. Should You Use Green Energy? Whether to use green energy or not remains a very personal decision. As stated it’s not so much about looking for cheaper prices, although you have to keep checking for different deals, but being willing to invest in the future. So those on tight budgets might not find it feasible. Certainly, the more people who turn to green electricity, the more prices will fall. But that doesn’t mean prices will ever be the same as the cheapest domestic tariffs, at least not in the foreseeable future. Right now, only about 0.2% of consumer spending is green energy, it was reported last year, which contrasts heavily with the £30 billion on goods that are environmentally friendly or ethical. Why? Much of the reason, according to some experts, is that all too often consumers just don’t know that green choices exist, and assessing the best ones is difficult and time-consuming. Also, when price rises occur with alarming frequency, people tend to look for the cheapest rates, rather than those that can help make a difference. Would you use green electricity, even if it means paying a little more? Do you see a great advantage in companies offering green options? Would you like green tariffs to be more widely advertised? Do you think they really make a big difference? Questionnaire: Storage Heaters or Central Heating? What Happens if You Can't Pay Your Bill?